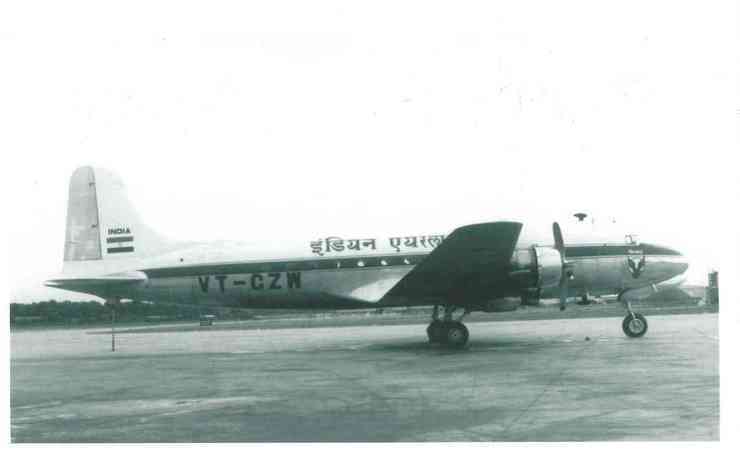 21 Jan 1950 Air-India International Inaugural Route from Bombay to Nairobi via Aden. 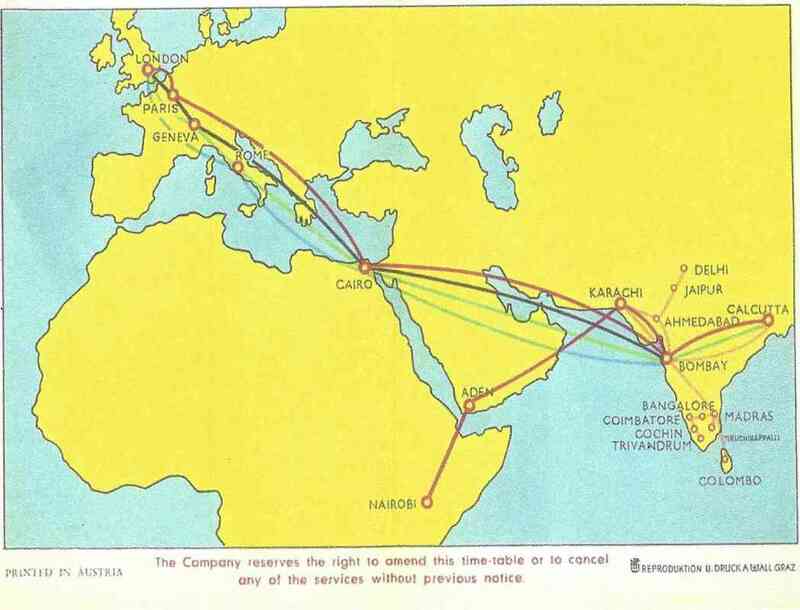 Route map from timetable Sep 1950, showing the route from Bombay to Nairobi via Aden. Time table June 1950 showing schedule time of Bombay to Nairobi via Aden. Fare sheet Sep 1950 showing fare details for SINGLE & RETURN journey on route of Bombay to Nairobi via Aden. 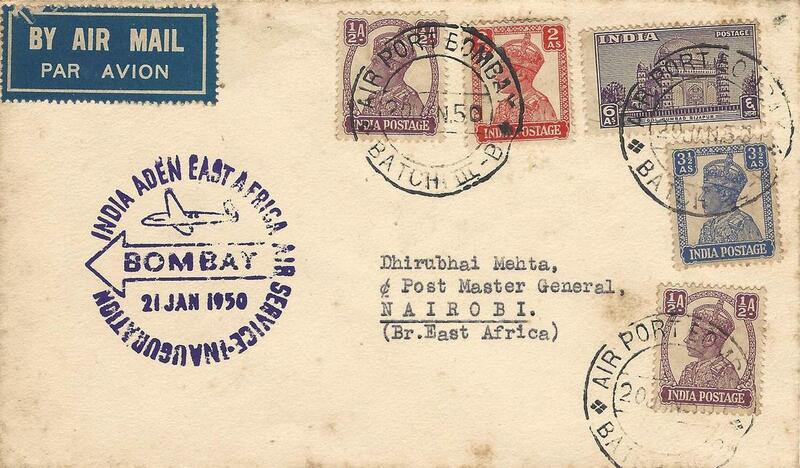 Postage Cover flown on Inaugural route Bombay-Nairobi on 21 Jan, 1950. 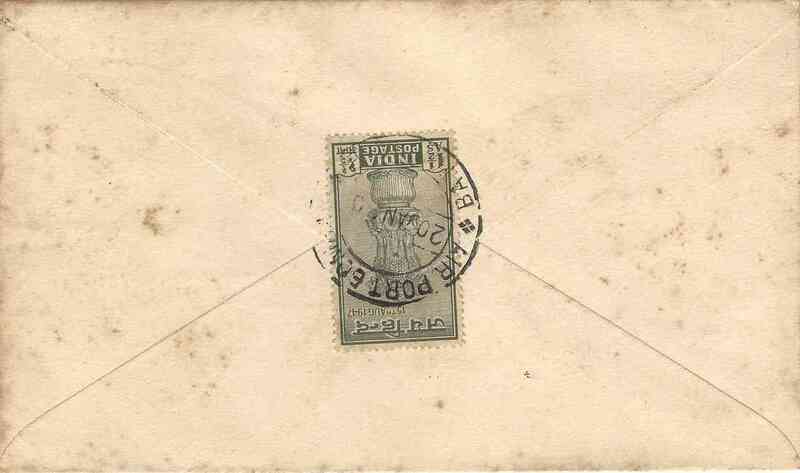 Cover flown from Bombay to Aden with 10 a. postage and tied with AIRPORT BOMBAY, BATCH III-B, 20 JAN 50 circular postal cancellation. 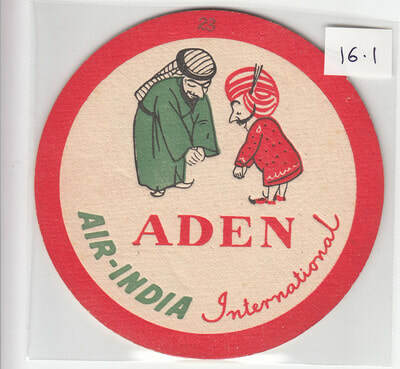 Also on front is the round violet cachet, INDIA ADEN EAST AFRICA AIR SERVICE - INAUGURATION, BOMBAY, 21 JAN 1950. 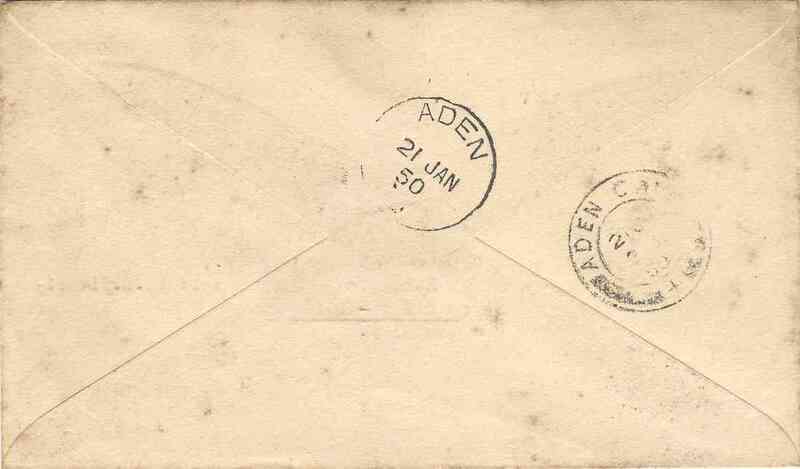 On the reverse is the arrical mark ADEN 21 JAN 50, and delivery mark, ADEN CAMP, 21 JAN 50. ​Postmarked AIR PORT BOMBAY, BATCH III-B, 20 JAN 50. 20 Jan 50. Purple circular commemorative Air-India Handstamp, on the front and interesting logo of sender printed on the reverse of the envelope. Also note the brief address of the receipient. 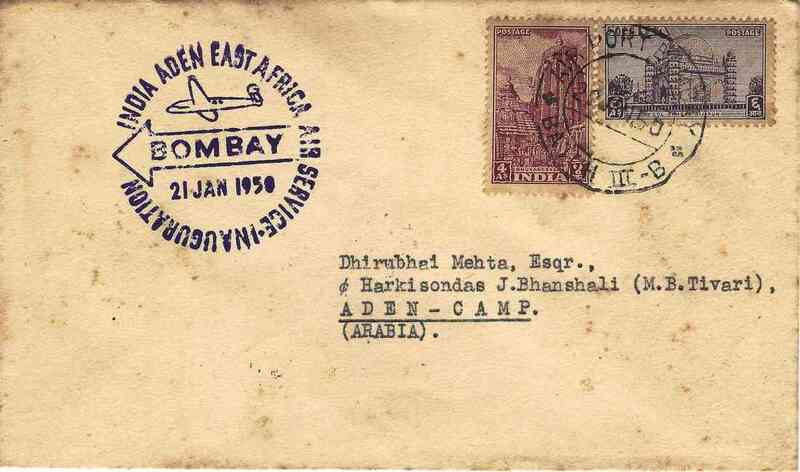 Cover sent from Bombay to Nairobi via Aden on Air-India inaugural service on that route, Postmarked AIR PORTBOMBAY, BATCH III-B, 20 JAN 50. Route map from AI timetable November 1952 to January 1953 showing the Karachi was introduce as immediate halt on Bombay to Nairobi services via Aden. Timetable September 1950 showing the schedule time of Bombay to Nairobi services vis Karachi and Aden. Air Fare sheet from April 1951 timetable showing the fare charges for Single and return journey from Karachi to Aden and Nairobi. 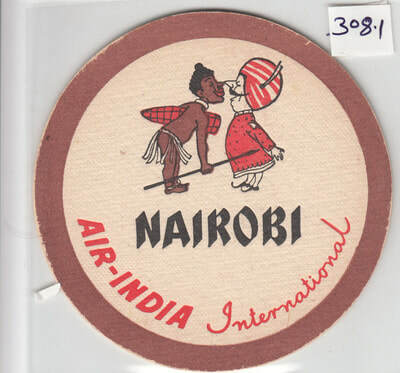 On 7th December 1952 Air-India International introduce an All-Tourist Class service on the Nairobi route on every alternate Sunday with DC-4 aircraft leased from Air-India Ltd. The cover bears the autograph of the Capt. Byramjee. 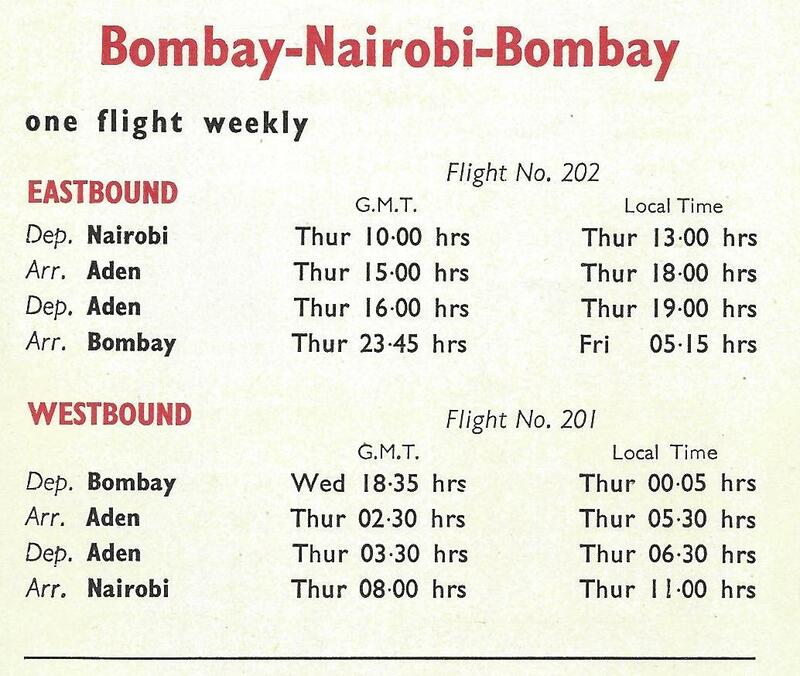 The once a week Bombay - Nairobi via Aden service was launched on 4 May 1961. Discontinuance of l-1049 Super Constellation service on this route, and halt at Karachi ommited. 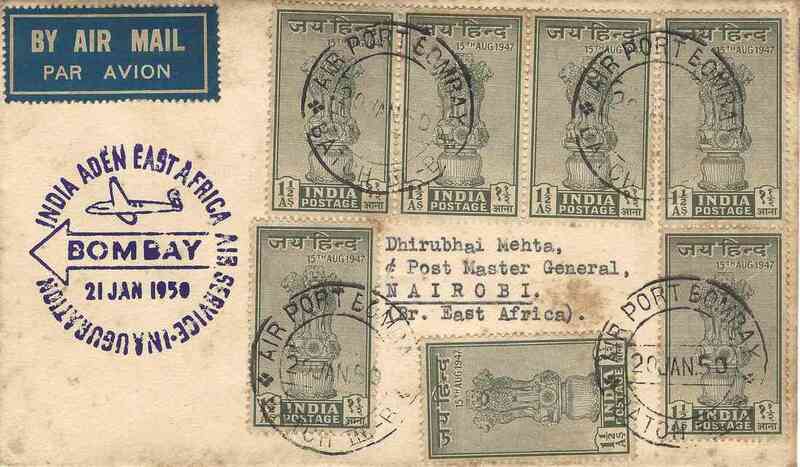 The cover was flown on the first return flight on the Nairobi - Bombay route. [P1] - Air-India Part -I, Airways Magazine by Maurice Wickstead on March 2016.